AHF Featured Member: Les Besser, "Father of Microwave Computer Aided Design" and the "Father of Computer-Aided Engineering Software"
This is a story of survival. And accomplishment. A gritty tale of growing up in a Socialist country, after surviving the physical dangers of the invasion by Germany, and the later re-conquest by Russia, and the rapid conversion to a Socialist government. And yet it is an engrossing account that keeps your interest as Les and his mother somehow survive the grinding conditions and danger of WWII that all civilian populations face as giant armies move across their lands. No one gets to choose the year or place of their birth. But if you could, you would definitely not choose Les's birth year of 1936, in the potential troublesome part of Eastern Europe, just about the time that Nazi Germany decided to move East. Les's life story here is divided into two parts; Volume 1 tells his boyhood at the outset of WWII, living in wartime conditions, and growing up in a difficult Socialist society. He grabs education as he can, finding rewards in athletics, and ultimately becomes a real fighter in the Hungarian Revolution of 1956. Volume 2 is devoted to his emigration to Canada and later to the United States to complete his education and embark on his remarkably fruitful microwave career. This HPMemory.org archive of remarkable essays is devoted mostly to Hewlett-Packard careers and the HP work culture. 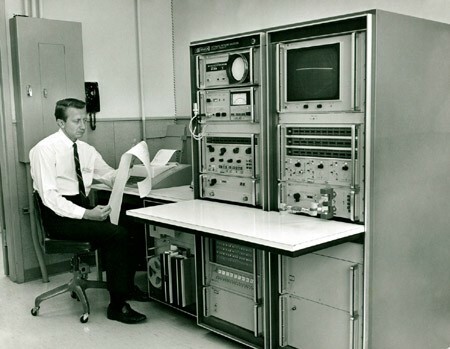 In Les's case, HP shared his technical career with Fairchild, Farinon and COMPACT Engineering (later renamed as Compact Software), the company he founded which revolutionized microwave component design of the 1970's. (COMPACT: Computerized Optimization of Microwave Passive and Active ComponenTs). All totaled, his time at HP was a mere three-and-a-half years, and yet his whole microwave career had its roots in the HP Computer-driven Vector Network Analyzers, which were delivering a profound change to microwave component engineering and design of the late 1960s. It was the combination of a microware designer being able to MEASURE the performance of his actual component, along with the COMPACT automated design software that revolutionized that period of microwave history. Jack Browne, Editor of the trade magazine, Microwaves and RF, awarded Les the well-deserved title, "Father of Computer-Aided Engineering Software." One facet of the HP work culture of those 1960s onward was the rapid growth of our business, and the concurrent need to recruit continuously and aggressively. Although a high percentage of our new engineers made their career a lifetime at HP, a significant number took their experiences of HP's well-run industrial operation, and moved on to other companies, often starting their own new ventures. During the time I was Marketing Manager of the Microwave Division in the 1960s, I recall observing about our recruiting of EE/MBAs, that we needed to recognize that probably two out of every three we hired, were going to be gone in about five years. Luckily, BSEEs didn't leave at the same rate as MBAs. Five years at HP was a suitable time period that usually imparted a workable sense of the industry, the competition, and the opportunities. For me, I didn't view this MBA exodus as a big negative, I observed that every new company startup was going to need a R&D lab full of new engineers, each with an empty bench which would need to be filled up with HP equipment to get going. Les was exactly the kind of departing engineer I had in mind. He ultimately accounted for MAJOR sales of HP equipment, even as he built his own company. Les' two books form a fascinating and gripping life story. Once you get started on this HP Memoir portion, you will likely find that you are pulled into his story, to see how it turns out. The Curator and I decided that it would be appropriate to provide downloadable files of both books AS LES WROTE THEM, for readers who wish to read all the details. 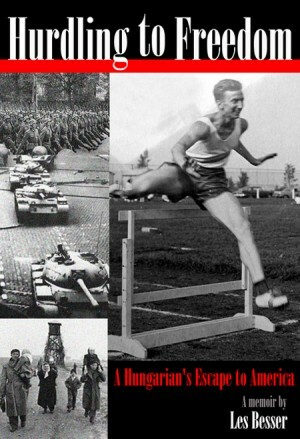 If you wish to read of Les's remarkable tale of childhood in trying conditions, carrying a gun in the Hungarian Revolution, escaping that reign under dangerous conditions, and ultimate achievement in high tech, click over to the download. Continue with this HPMemory, to read of Les's technical career, and the HP and COMPACT aspects. For this content, we have abstracted essentially the second half of Volume 2.This picks up on his life as Les arrives to Canada, attends the University of Colorado and receives his invitation to Hewlett-Packard. It should be observed that others followed a similar path from Eastern Europe to Hewlett Packard. The loquacious Stephen Adam, microwave designer, extraordinaire, and a contributor and leader of the IEEE MTT Group, as well as another microwave engineer, Julius Botka, also emigrated from Hungary. This HP Memory archive already features the fascinating story of Zvonko Fazarinc, who exited his home country of Yugoslavia, under more stable conditions to come to Stanford. And there were quite a few others. Featured members are selected at random. AHF members come from all walks of life and from different religious and political backgrounds. They join AHF because they believe in working together for common causes and on issues that unite, not divide. This page provides the public a small glimpse at the broad cross section of the community AHF represents. AHF is an all-volunteer, non-partisan, 501(c)(3) non-profit educational and charitable organziation serving the community since 1906! Join and Support Us! "Mr. COMPACT" (Computerized Optimization of Microwave Passive and Active ComponenTs) is “The Father of Microwave Computer-aided Design" and the "Father of Computer-Aided Engineering Software"
Les (Laszlo) Besser, was national under-16 year hurdle record holder in 1952, graduated from Kando Kalman technical school in 1954, and won two Hungarian national junior championships in 1955. Escaping to Canada after the 1956 revolution, he continued with his running career, and received a track scholarship to study electrical engineering in the US. At the University of Colorado he received the Pacesetter Award and was selected to be “The Outstanding Engineering Student” and co-captain of the school’s soccer team in 1966. After gaining practical engineering experience at Hewlett Packard and Fairchild corporations, he authored COMPACT (Computerized Optimization of Microwave Passive and Active CircuiTs), the world’s first commercially successful microwave circuit optimization routine, soon to become the industry standard. He then founded Compact Software, a pioneer CAD software company (now part of Ansoft), and was active in serving the engineering design needs of the RF/Microwave industry during the next ten years. In 1980, his company merged with Communication Satellite Corporation (COMSAT) where Dr. Besser functioned as a Senior Vice President. Les Besser Supports AHF Scholarships! Help AHF support the Hungarian Scholarship Fund! Click "Donate" below to make tax-dedictible donation to the Hungarian Scholarship Fund Online! Follow the easy instructions and add a note to earmark your donation for this fund. Be sure to indicate what percentage of your donation is for the HSF Fund, AMOKA, vs. AHF general funds.